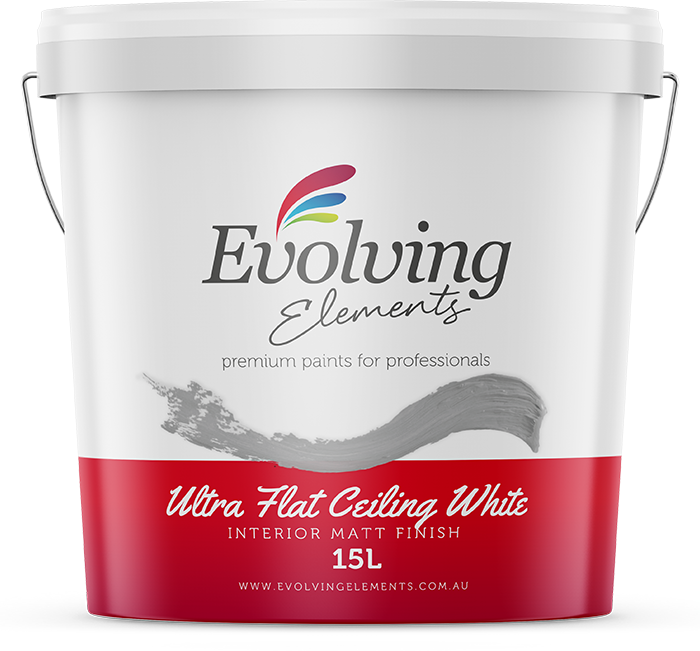 Evolving Elements Ultra Flat Ceiling White is a high quality, water based, high cover ceiling ﬂat ﬁnish having minimal odour, suitable for use in living areas with high illumination. Evolving Elements Ceiling White dries to a ﬂat ﬁnish. Designed to provide high opacity cover on all living area ceilings. It is easy to apply, non‐yellowing, quick drying and excellent for hiding surface imperfections. It contains anti fungicidal additives and may be tinted to a select range of colours. It is environmentally friendly, non‐toxic, non‐hazardous and non‐ﬂammable.